For passive income 1 and 2, there is no changes. 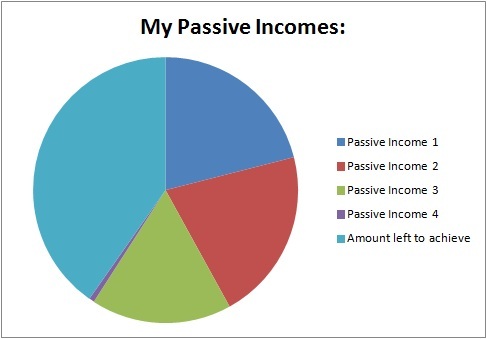 For passive income 3, there is an increase as I have bought some shares this month. For passive income 4, there is no changes. Its great to see you achieving almost 60% of your target. you should be able to hit your goal in 3-4 years time. Or maybe less than that. If you have managed to hit your target, would you do an extension of your current goal? Great to see that you are heading the right direction and doing well. Cheers!! Hopefully I can achieve my financial freedom in 5 years time and will look forward to increase my target by then. Thank for your cheers :).